At NAB 2013, Sony announced the raw upgrade for the NEX-FS700, allowing this $7500 camera to send raw 2K and 4K video to external recorders. In the middle of May, Sony sent me a prototype raw-enabled FS700 camera, an IFR5 raw adapter, and an AXS-R5 recorder. After ten days of frantic shooting, grading, and editing, Art and I presented “FS700 in the Raw” at Cine Gear Expo. 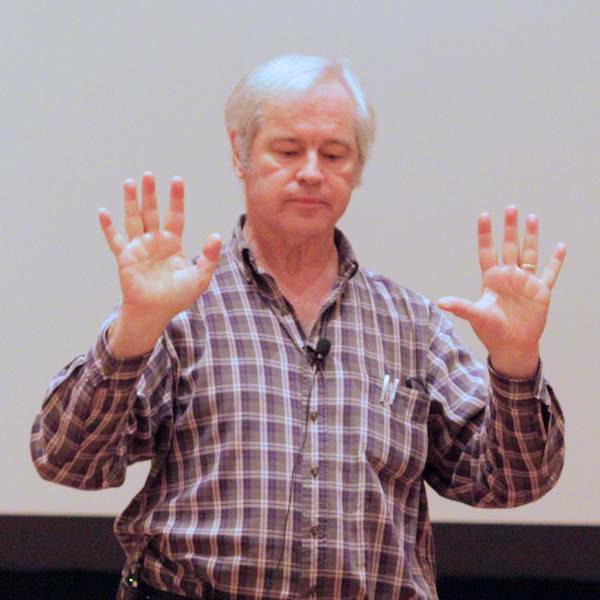 Most of what Art discussed he’s written about here; what follows is my part of the presentation. Adam Wilt and I have had a 4K-enabled Sony FS700 to play with for a week. Come see what we’ve discovered about the latest entry into the 4K race to high resolution history. The FS700 has a lot in common with this camera — the Bell & Howell 2709 hand-cranked silent film camera (pictured right). It is 90 years old and it still works. I’m not saying that the FS700 is old or obsolete or can’t record sound; rather, I’m saying that, like the FS700, it’s possible to make beautiful images with the 2709 if you know what you’re doing. 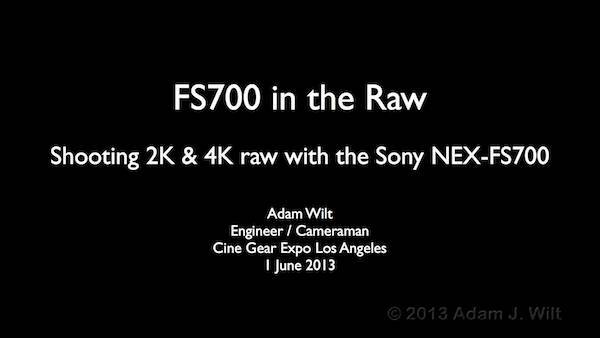 Adam and I will be presenting a 90 minute talk about shooting 4K on the FS700 this week at CineGear in Los Angeles. If you’re attending, please stop by the Sherry Lansing Theater at 2:15 on Saturday, June 1st. 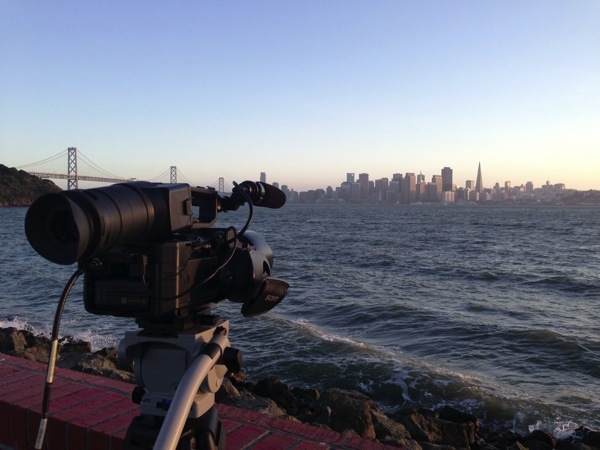 DVi — The Digital Video Information Network — is a technical and creative resource for learning about digital video technology, and applying that information in a wide variety of creative applications. DVi is mainly intended for a professional audience, but most all visitors are welcome to read and participate on the site regardless of their technical background. Subscribe to our newsletter for site updates, highlights and exclusive content from DV Info Net.